Customer Service is the New Marketing. As the lines between sales, service and marketing continue to blur, marketers are taking a leadership role in delivering a unified customer experience. Salesforce conducted a recent survey report, reporting that the majority of high-performing marketing teams (58 percent) are driving customer experience initiatives across the business, compared to 8 percent of under-performers. But to do this, whether marketing, sales or customer service leads the process, the brands need to not only to crush the silos between those departments but also have a new platform that enables them to deliver a consistent brand experience across every touch point, regardless of channel or device. Channel Ubiquity: At Constellation, we have coined a term called channel ubiquity – meaning using any channel, any device any time, any place, any where… that’s what the customer expects and brand’s must deliver or be left behind. Why is customer service is the new marketing? Because customers don’t view a brand from each department, they view the overall experience they have with the brand. And where the experience usually misses the mark is customer service. Companies spend millions or billions of dollars in customer acquisition and then don’t follow through with great customer service and rather provide bad service that only leading customers to their competitors. So those customers are automatically taken out of the marketing funnel, even if the company doesn’t realize it. What’s Special About the Lightening Announcement? The Marketing Cloud Lightning Platform vision is to bring the power of Lightning to digital marketers so they can create more intelligent and personalized customer experiences. What are the possible benefits? Build and automate journeys for the entire customer experience. Delivering on Channel Ubiquity: Whoever is in charge of offering the ubiquitous customer experience, brands need to be able to offer a modern and intelligent user experience across any device, enabling marketers to work faster and smarter, and deliver better results. With a platform that has common customer identity and navigation, brands could work seamlessly across the entire customer experience platform or hub to streamline processes that span marketing, sales, service or back office departments to enable more comprehensive, integrated customer journeys. This is the promise of the Marketing Cloud Lightning Platform. 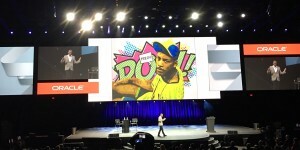 Easily Building Apps: Another promise for Marketing Cloud Lightning includes new Lightning Components or the idea of reusable, drag-and-drop building blocks to easily assemble apps. 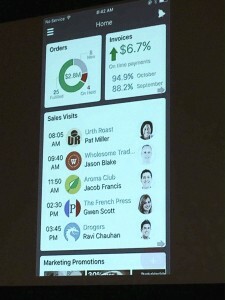 This would enable companies to develop and customize new business apps for sales, customer service and marketing. 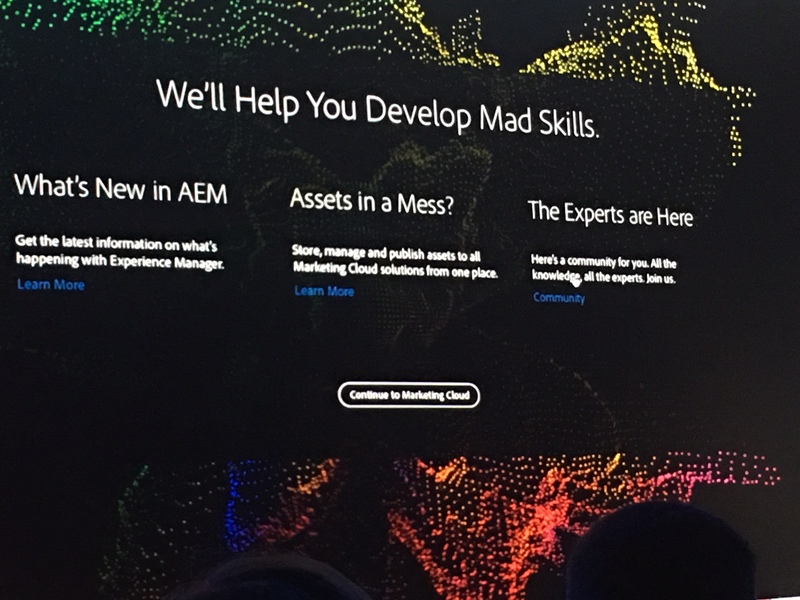 Salesforce will deliver Lightning Components ranging from core email functionality, like previewing emails and tracking email open rates, to journey capabilities. This also includes options like automatically adding a lead or contact to a journey and reviewing the journey history of a specific lead or contact. In addition, customers will be able to use third-party components built by Salesforce partners and available from the Salesforce AppExchange. 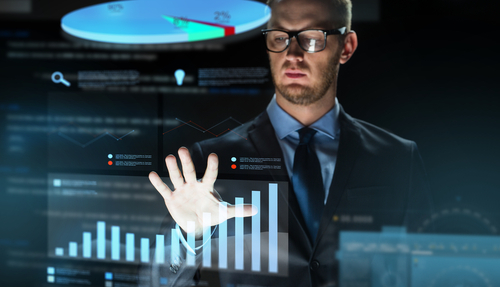 The Power Lies With the Budget: Often because the CMO, of all the lines of business, is controlling a lot of a brand’s budget for new software, targeting the CMO is a great idea. However, because the place where customer experience generally falls through the cracks is customer service, I’d like to challenge customer service professionals to stand-up and demand that they also control and equal or larger portion of this type of budget. It would be a major transformation of that role, but it is necessary to drive better customer service and overall customer experiences. 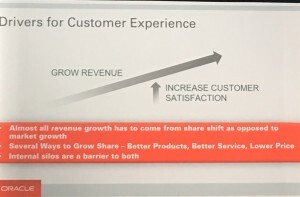 Without this transformation, the front end- marketing and sales customer experience can be great, but unless marketing really understands what is happening in customer service and the challenges the contact centers face, the customer experience has the potential to fall apart there. I caution brands that do not heed this vision to not be surprised if they loose their market base. In my humble opinion, customer service is the key differentiator in the overall customer experience. And it’s time for it to change. NOW. Covering Customer Facing Application that Deliver Awesome Customer Experiences Across Marketing, Sales and Customer Service. 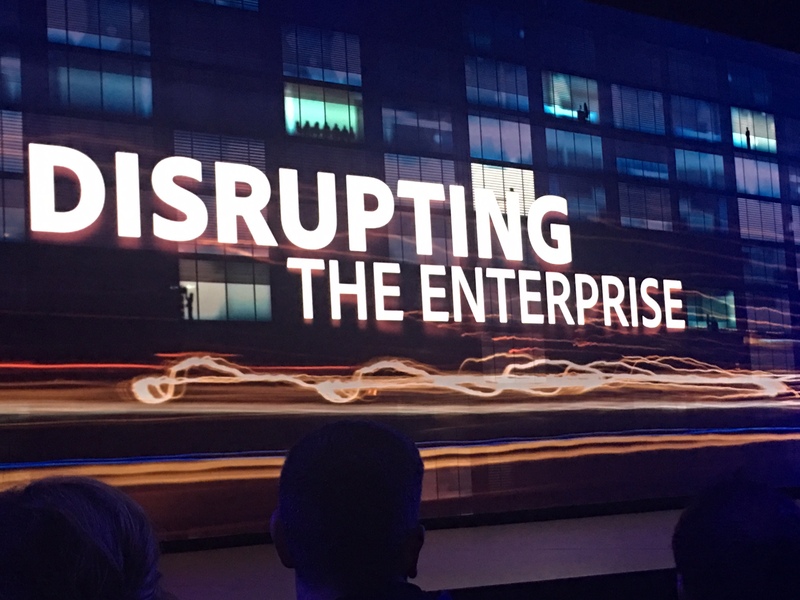 Data as a Disrupter: The Adobe Summit was fantastic. 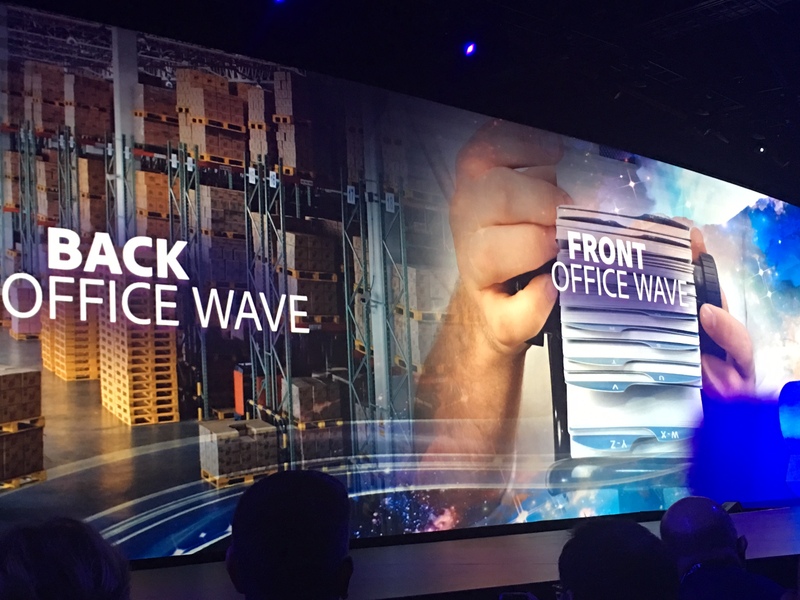 The opening keynotes gave us insight into some of the new products and innovations. What’s clear is that digital disruption means taking all the data that can be collected about customers, using that voice of the customer data and making better business decisions. 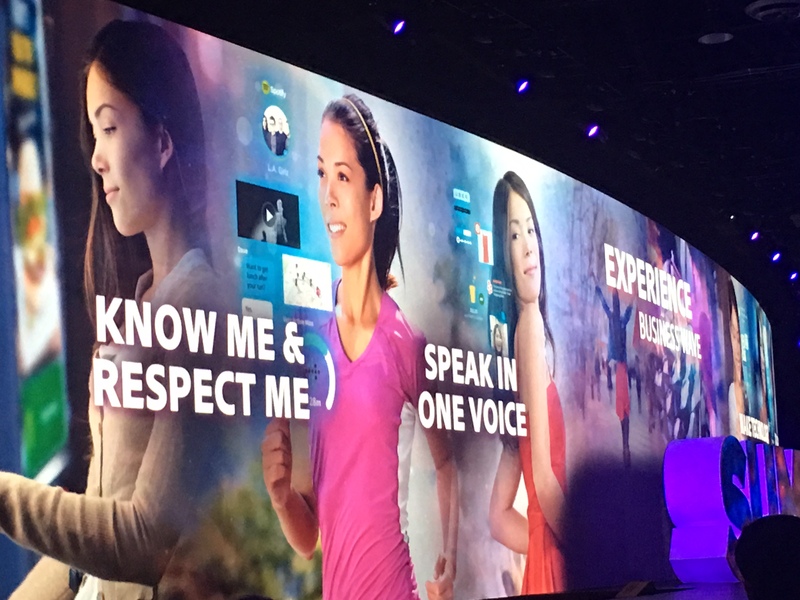 The idea of “know me,” “respect me,” and “speak in one voice” all create the experience. 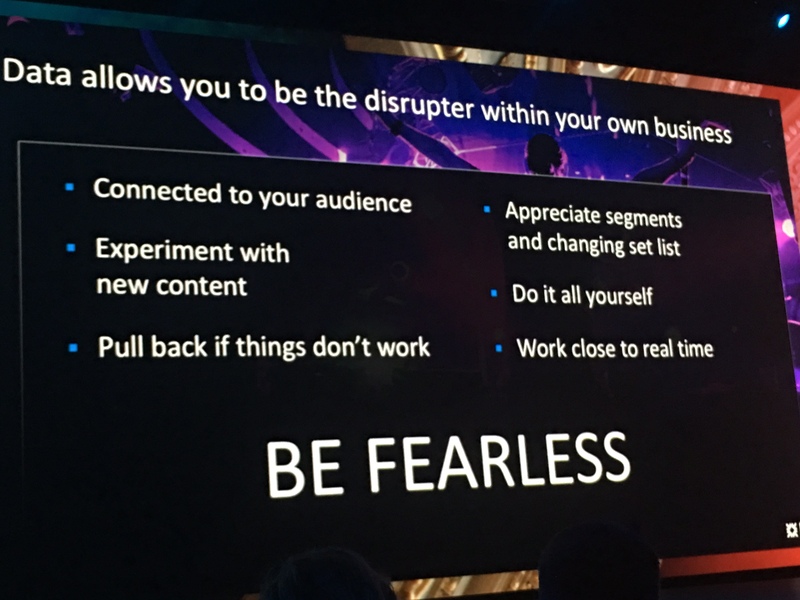 The keynotes were all about fearless and breaking what you thought you knew and to reconstruct the truth about your products and services by using data as a digital disputer. 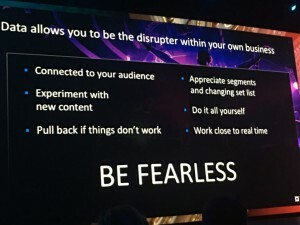 Data is a way to connect to your audience, experiment with new content, stop doing the things that don’t work, appreciate your segments and the changing set list, being able to do all of this yourself and working pretty darn close to real-time, if not real-time. Be FEARLESS. This is not something easy for corporate cultures. It takes guts and being fearless. 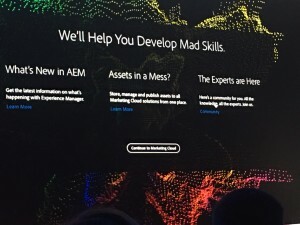 And Adobe announced the ability to help you learn the skills (if you don’t have them yet) to be able to data to work for you. The Adobe Platform offers businesses the ability to connect the front and back offices, so key to making the customer experience actually work. Mattel realized the world of play was changing as digital has become part of play. As a result, they had the guts to look at how they were doing business and discern what was working and what was not. This is very brave and not the norm in most corporate cultures, but it is certainly the key to the future of success. My fear is most companies will become dinosaurs and become extinct before they realize this is the roadmap to future business success. The conference showed how Adobe is helping brands differentiate by driving excellent customer experiences. This has never been more important than ever. 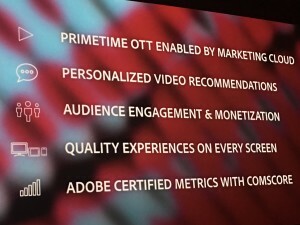 What we saw at the conference was a full suite for customer experience. 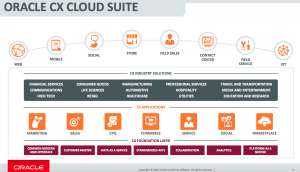 As point solutions turn to suites, Constellation Research predicts organizations that want to keep all the information about customers flowing in one place will most likely turn to platforms, suites and hubs for customer experience. With suites there is the opportunity to know your customers better, via shared data, shared knowledge across lines of business for personalized and relevant offers, products and services. Instead of having silos trying to each engage with the customer, suites provide the opportunity for employees to collaborate when engaging with customers (especially when the organization change management issues are dealt with from a leadership point of view.) Suites also provide the opportunity to drive new workflows, products and services that meet customer needs better. If companies are able to take advantage of what suites offer, they can sell more, innovate faster and increase shareholder value. 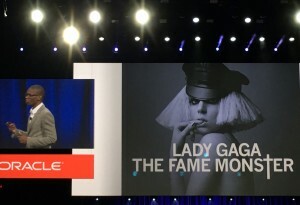 As we listened to Mark V. Hurd’s (Co-CEO or Oracle) keynote, he talked about the issues in IT spending. 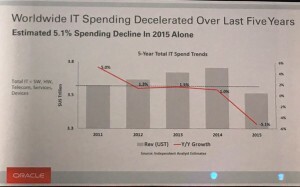 He estimated, worldwide IT spending is down over the last five years and down 5.1% in 2015. He also talked about revenue growth being stalled because companies are focusing on cost cutting to make their numbers for Wall Street. However, the focus needs to be on choosing the right software to grow the company’s revenue. One of the big drivers for software is getting the customer experience right. With all other things being equal, Constellation Research believes customer experience is the number one differentiator. Why? People expect that when they buy something, the experience will be at least positive if not really “wow” them. Otherwise, they will choose to go to a competitor. Mark spoke about the reality that most revenue growth will need to come from share shift as opposed to market growth. What this means for software companies is that they need to provide better software so that companies can provide better experiences so customer choose to move from their competitors to them. This also goes for software companies. The best way to grow revenue is to increase customer satisfaction. It’s interesting that this focus on customer experience seems to be the topic of the day. It’s something that I’ve been writing about for years. Customer Service and satisfaction perhaps has come into it’s own, finally. Often times companies don’t realize they are taking themselves out of the running when a customer sees (in forums, ratings, review sites, social media…) that the company is not responding, doesn’t show it cares and isn’t there to work with the customer to make things right. In fact, 67% of a decision on what to buy in B2B sales is completed before the customer even talks to a sales person. The customer is getting what they need from reading what is in digital and social media. And that customer automatically looks whether the company is participating in digital and social media, and even though they may not be aware, the company who is not participating make take themselves out of the marketing funnel, because customers realize that if they bought from that company and had an issue, they too would fall into the “no customer service zone” and be stuck with an issue. Nobody wants that and customers, after years of pretty bad service in many industries, are choosing to leave companies they have tried to be loyal to, but just can’t be loyal to any more. And smart data is a huge opportunity for companies. Why? 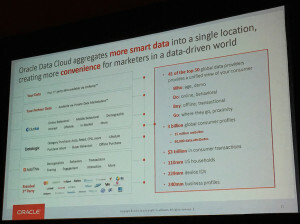 When companies put their data in the cloud they are able to aggregate more data in a single location creating convenience for marketing, sales and customer service in a very data-driven world. Mark spoke about his own frustration with the financial institution he banks with and their calls to him about his account. He explains every time they call him, in detail, what the issue is, yet the bank still calls him with the same question. It’s as though the bank is on autoplay. It’s important to know your customers, understand who they are and what they need to keep them loyal. Troy Carter, from Atomic Factory, spoke about the importance of engaging fans and his traverse of the start-up world. His words were very inspiring and really emphasized the idea that companies need to think about their customers as fans. With that mentality, how they are served, could change quite a bit. It was great to see someone who has arrived at a lot of fame, remember his beginnings and be humble about his amazing accomplishments in innovating in the music industry. 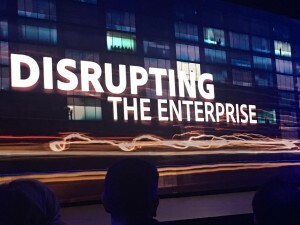 The conference was also graced by a number of customers who are on the journey with Oracle to provide not only better UX for their employees to use the software but also to develop the best in class suites to better service their customers. Look forward to an up coming case study on a brand called Elaine Turner. And here’s a case study on how GM listens to their customers in digital and social media and drives better marketing, sales and service. NICE Engage Platform – The NICE Engage Platform provides comprehensive omni–channel interaction recording. Designed for flexibility, it easily adapts to the unique operational requirements of any call center. In a single platform, organizations have support for thousands of concurrent IP streams: capturing, forwarding streams in real time, recording and archiving. Journey Voice of the Customer – NICE’s Journey Voice of the Customer maps customer journeys across multiple channels and lets firms know how satisfied customers are at each touchpoint. This helps businesses prioritize which areas they should address to maximize the customer experience and their return on investment. NICE’s Sales Performance Management Suite also took home a Bronze Stevie® in the Incentive Management Solution category. The suite provides the end-to-end ability to create, manage and distribute all aspects of a commissions program. It automates the process of commission, bonus, and incentive administration in support of any type of variable pay strategy to deliver a pay-for-performance system that rewards employees for achieving targets that align with business strategy. The 10th Annual Stevie® Awards for Sales & Customer Service are the world’s top sales awards, business development awards, contact center awards, and customer service awards. Finalists were determined by the average scores of 115 professionals worldwide, acting as preliminary judges. More than 60 members of several specialized judging committees determined the Gold, Silver and Bronze Stevie Award placements from among the Finalists during final judging earlier this month. Details about the Stevie® Awards for Sales & Customer Service and the list of Stevie® winners in all categories are available at www.StevieAwards.com/sales. Potential and current customers use social and digital media to research and compare products and services. 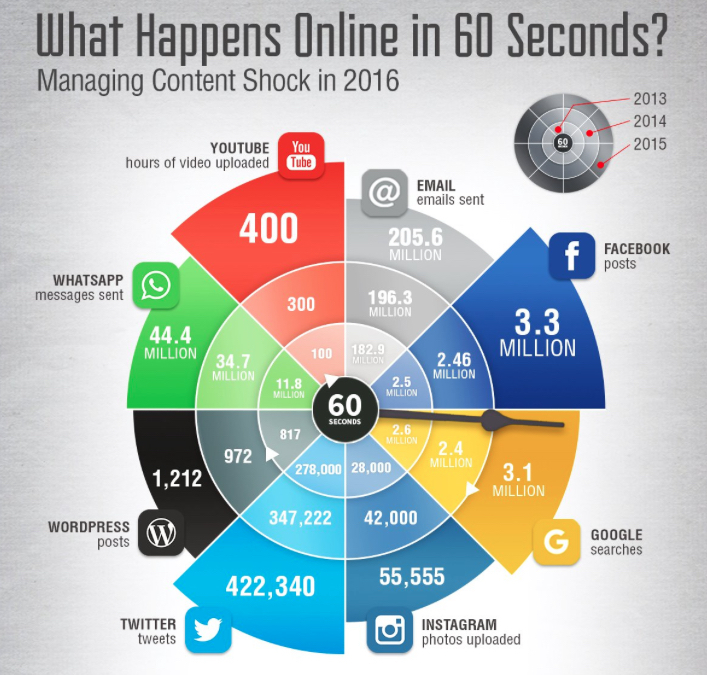 The chart shows that from 2013 to 2016 the amount of content created and posted is growing nearly exponentially. The difficulty for brands is that there’s some much content out there, that it can be difficult to ensure that the content they are creating is cutting through all the noise and is not only noticed but taken seriously. It’s a whole lot of creative going to waste otherwise. And that’s one of the reasons it is so important for brands to really understand storytelling and the mix of content they are using — it can’t be all “buy our stuff.” It has to be a combination of inspiration, motivational, information, humor as well as fun. Part of the reason that the type of content brand’s publish is so important is that studies show that people have limited attention spans and time to pay attention to all the content that is posted. 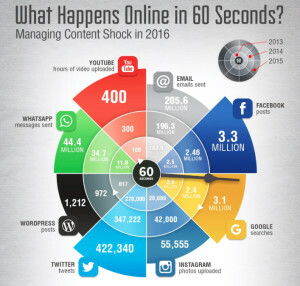 It’s not possible for humans to cognate all the digital and social content being posted. And research by Moz and Buzzsumo shows that the majority of content marketing has limited impact with 75% of blog posts they analysed getting fewer than 10 social shares and zero links from other domains. It also presents an issue for marketers who are researching best practice in different areas, as often there are so many different messages it is hard to know where to begin. And that’s where storytelling, branding and brand personas come into play. That’s part of what I teach in my UCLA course in digital media. And it’s not just important to marketing, customer service and sales and other departments need to be paying attention to this content conversation. If your brand was a person, what would its voice be like? Snarky? Smart, Goofy? Funny? Brainiac, Sweet, Kind…. Those are only the beginnings of what storytelling and brand personas need to be considering…. If you are a brand, it’s time you looked at your content, and your content and digital engagement strategies (marketing, sales and service) and make sure you are providing what customers need and want to stand out in a very crowded space. We Are Out of The Hype Cycle: Digital and Social Applications Must Solve Business Issues: I know when I first started to learn about social media and digital applications, I could see how they could change business. It made sense to me. I think because I am an early adopter. I’m referring to Geoffrey Moore’s technology adoption curve. There’s the innovators, who create all this cool new software. And then there’s early adopters like me, that look at those innovator’s inventions and realize the impact they can make. Having been in this business for a long time, one of the things that I realized was that not everyone can see the value of social and digital. It’s not an intuitive thing for them. And there’s nothing wrong with that. It just is what it is. And that’s why businesses (vendors) who are in the business of selling products and services really need to take a look at their product management and product sales teams. Are they organized to sell to those that “already” get the value? That’s like selling ice to eskimos. The people who get it, already bought your product. MY POV: Where the rubber is now meeting the road is learning how to articulate the business value that digital and social applications, products and services provide. I am lucky to hear a lot of briefings on new things. However, what I am finding is that some companies need to really look at where the marketplace is in adoption of the new technology and perhaps shift some of their marketing messaging, but even more important to look at who are the persona(s) that they are developing products and services for? Are they for the early adopters? It’s a small part of the marketplace. Or is is for the early / late majority? That’s a much larger part of the marketplace. Early Majority Want Your Help to Say Yes: And that part of that part of the marketplace (early majority) requires something different to convince them that they need this “new” product. They want to know what business challenges does it solve? They want to be shown how someone else had a “burning issue” and this product or service solved it and what the outcomes were. If your sales pitch is not lined up that way, you maybe missing the market on the largest part of the marketplace. 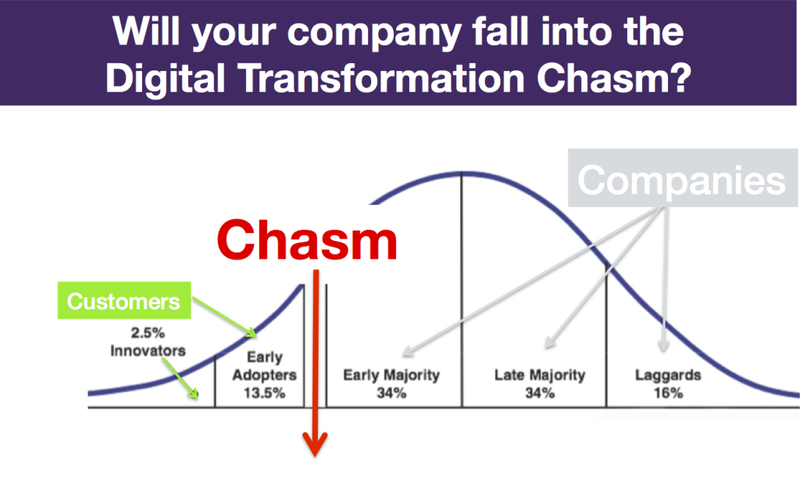 Don’t take it from me; reread Geoffrey Moore’s Crossing the Chasm— it’s all about changing how you market and sell as the marketplace matures. Those who do, will find prosperity and those that don’t, won’t. What Do You Need To Do Now? The key is to be able to articulate the business value. What is the business issue that your product or service solves? To know that, a business has to be really clear on who they are selling to. That means they need to define various personas and know what those personas face as daily challenges. They need to map out the-day-in-the-life of that professional. And they need to do this by going and talking to 10 or 20 or 100 of them. Don’t assume anything. Then align the challenges those professionals face with the solution you offer and can show an early majority person how your new “product or service” can solve their issue better than anyone else. References, References, References: And having customer references is key, especially early majority customer references. Why? Because early majority folks convince other early majority people to take a chance at these new technology, processes and services. They believe each other more than they believe the vendor or even sometimes an analyst. Watch Your Language: There’s lot’s of languaging issues in the current marketing of software and products / services. Almost everyone can claim to be influencing some aspect of customer experience. And by not articulating the business case of how that product or service clearly affects the bottomline, the buyer is confused and that slows the sales cycle down. Do The Work: Don’t make your customer do the hard work. Create those business use cases. Create scenarios that the early majority can see themselves in. Articulate, even if it’s a back of the envelope calculation, the return on their investment. If you do this, it will make all the difference in your sales cycles, in your revenue and profits and your market position. If you don’t, someone else will. Time to relook at where the marketplace is in the maturity of the digital disruption and stop all the fanatical “speak” and get down to business. At least that’s my take. What’s yours?